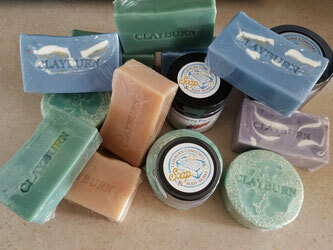 Welcome to your best choice for Organic & Natural, professional quality handmade soaps and body care products! If you would like to pick up your website order please indicate "for pick-up" in the comments section at check out. Your shipping fee will be refunded to you and your order will be ready for pick up in 2 to 4 business days. You will receive a confirming email when your order is complete and can be picked up from the front porch. Located in historic Clayburn Village, just 80 km east of Vancouver. Find our Foreman's Cottage and follow the pathway towards simplicity, serenity and aromatherapy. Website orders will be processed within 2-4 business days, except during annual closures. If you have any questions about our products or need help finding an item, please email us and we'll get back to you as soon as possible. We have annual closures in January, May & September.